Watercolour, calligraphy and gold leaf place names makes for beautiful event stationery. 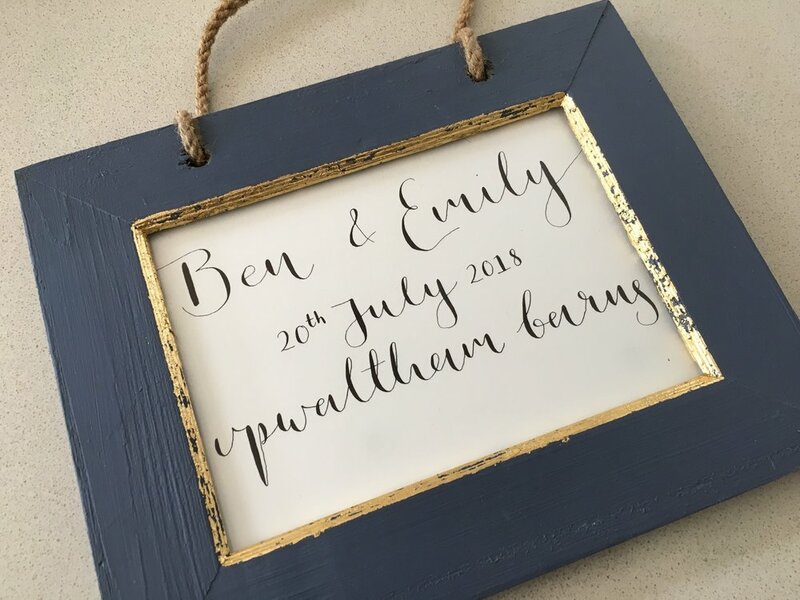 What a fab idea this wedding gift is! We personalised the calligraphy and placed it in one of our frames. We love how creative our customers are! Adding a special touch for a Birthday Party. We can do all by hand our create by hand and scan to a high quality depending on your needs. Perfect gift for newlyweds. You can mismatch books and personalise the calligraphy. The parents of a 2 year old baby girl asked for this quote to be written and framed so it could go above her bed. More of our personalised decorations. These are hung on foliage above the fire place. We added the year to the back of the decoration so that the family can see who was there that year. Mini gilt plant pots with gold hand lettering. I loved making these for a small outdoor wedding. Star Wars Calligraphy and signage for a wedding. We love how the writing drifts off the page and the unique nature of what we were writing! 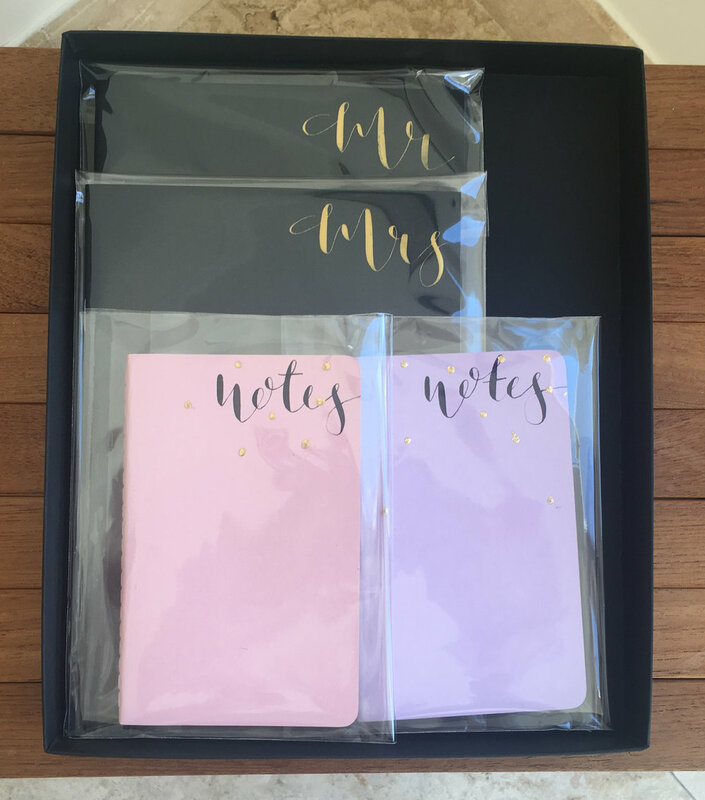 Who doesn't love stationery. We have always loved spending hours in stationery shops trying pens and buying endless notebooks. Pick any 3 notebooks and we'd be happy to personalise them making them into a very special gift. These proved to be very popular over Christmas. But this also make great name cards for dinner parties or for weddings. Set of 3 notebooks. Written in gold calligraphy and personalised to you. We were asked to put together a box set of stationery for a lovely lady who is retiring. Giving her plenty of options to create and plan her future. The personal touch has given her the motivation to use them. We love adding this personal touch to our products. All done by hand.